Ormuco Stack is built on the OpenStack software architecture. Have you been wondering about what OpenStack is, and what it does? 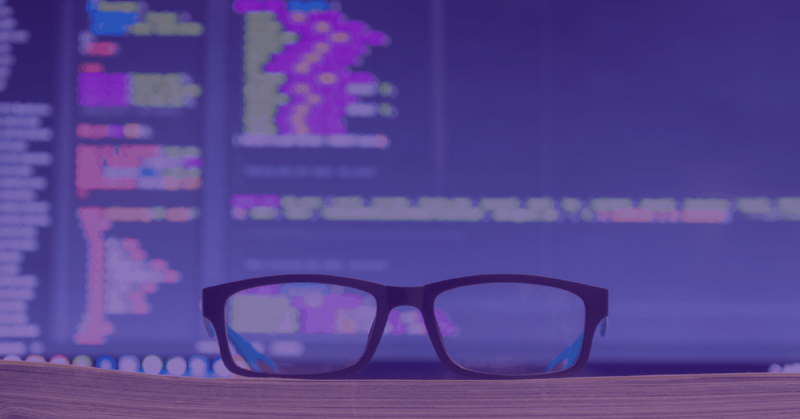 In this article, we’ll discuss open source software, provide you with a short history of OpenStack and notable projects, and talk about some of the challenges of working on an open-source platform. Before we can discuss OpenStack, it’s important for you to understand open source software. In essence, open source software is delivered with free access to the “source code”. Any developer can make their own changes and modifications, as desired. Then, these changes can be shared out to the rest of the community at large. For example, if someone using a software like OpenStack finds a serious security flaw, they may “patch” the issue by changing the code. Then, the code will be sent back to the OpenStack community for further investigation – if it’s found to be a helpful change, it may be incorporated into the future releases of the software. This is how open source software works. Over time, a community of thousands of developers adds features, streamlines the code, removes flaws and errors, and more – resulting in a strong, robust, and secure product that’s not controlled by any central organization or tech company like Amazon, Google, or Facebook. OpenStack first began in early 2010. Rackspace, a cloud company, wanted to completely rewrite their code – and they released their Cloud code at the same time that Ansoo Labs, a NASA contractor, published the beta code for “Nova” a cloud computing fabric controller that was written in Python. Both of these efforts formed the base for OpenStack. The first OpenStack Design Summit was held in Austin on July 13-14 of that year. The project was announced at OSCON (The Open Source Rally Convention) in Portland, on July 21st. Since then, the OpenStack Foundation was launched in 2012 to ensure OpenStack could be managed, protected, and promoted, and a user committee was founded to help the users of OpenStack have a voice in decision-making. Today, OpenStack is one of the biggest open-source platforms in the world, and it’s in use in thousands of projects for both small businesses and enterprises. Rackspace – Rackspace is one of the “founding fathers” of OpenStack, and they still use OpenStack to manage much of their cloud infrastructure, and contribute regularly to the code. Dell, HP, and IBM – All three of these companies have announced that OpenStack will form the basis of their cloud computing services in the future, though it remains to be seen what form these implementations will take. Cisco – Cisco is a huge enterprise IT company, and is taking steps to ensure that all of their products are compatible with OpenStack. In fact, the head of their cloud technology team was the vice chairman of the OpenStack board of directors. Open source software has its own unique set of challenges, given the fact that it’s free to use and anyone can modify the source code. More contributors = more risk – The more people are contributing to a project, the more likely it is that problematic code may be developed. This risk can be minimized by having guidelines for code submissions, peer reviews, and other such steps. 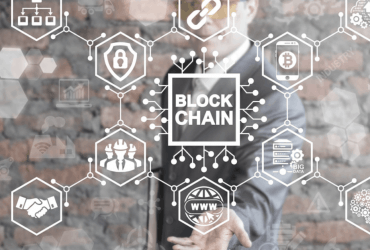 Security risks from developers – There is always a chance that open source projects will be used by malicious third parties for their own means, especially given that anyone can contribute. Again, the risk can be minimized with proper review process. Vague definitions of tasks – Some may say that the old adage “too many cooks spoil the soup” applies here. Without a central driver of progress, some open source projects can languish, and new features or functionality may take a long time to be added. Complexity of third-party integrations increases – Third-party APIs (Application Programming Interfaces) and custom applications developed for an open-source software must be very complex, and updates to the software platform can easily break compatibility, requiring troubleshooting. Ormuco Stack takes the best of OpenStack and combines it with a unique, proprietary software architecture – creating the very best cloud management system and offering edge computing capabilities. Why should you use our Ormuco Stack OpenStack distribution? Here are just a few reasons. Uses only stable components – We keep volatility at a minimum by only integrating the most stable feature updates and releases from OpenStack. Regular updates – We regularly update our platform for security, and to support new features, integrations, and more. Zero-touch deployments with containers/integrations – We offer simple, easy deployments for the Ormuco Stack, and have default support for containers like Kubernetes, third-party integrations, bare metal servers, and more. 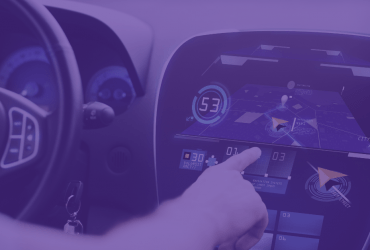 Artificial intelligence & machine learning integrations – We don’t stop at reusing basic virtualization open source features and repackage them. 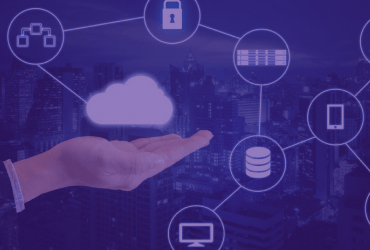 Instead, Ormuco Stack provides you with a completely autonomous cloud management platform that self-operates and self-heals, reducing your operations & maintenance costs by up to 70%. All this is possible with libraries like Ansible, TensorFlow and Scikit-Learn. White label design for service providers – We offer Managed Service Providers (MSPs) a “white label” version of our software, so you can brand it and customize it to your needs. This allows you to expand your managed services portfolio and keep your brand strong. Custom APIs and integrations – We are always developing new APIs and integrations for third-party cloud systems, and doing our best to make the importation and migration of external clouds easy for our users. With Ormuco Stack, you can easily integrate and import databases from cloud providers like Amazon Web Services, Google, and more. Moreover, Ormuco Stack is ready for edge computing deployments on small-scale hardware like IoT gateways. See the Benefits of OpenStack for Yourself – With Ormuco Stack! At Ormuco, we are passionate about OpenStack and open source software development – which is why we’ve chosen to take the best parts of open source software, and combine them with a proprietary approach to development. We give you the best of both worlds – the power and flexibility of OpenStack, with the features and security of a proprietary software system. Interested in learning more? 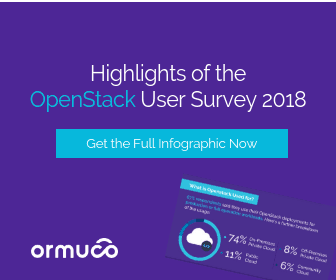 Get the full infographic of the OpenStack User Survey 2018 Highlights by Ormuco here.